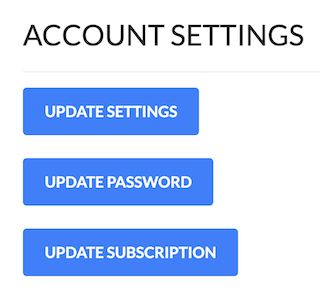 To update or change your password, click on Account Settings. Type in your new password and then type it again for confirmation. 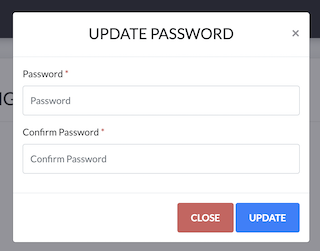 Once you click on Update, your new password will be set. If you do not wish to change your password, merely click on the Close button.